Four men made their escape in a car after attacking the 19-year-old in Edinburgh. A teenager was slashed on the face during a brutal attack in Edinburgh. The 19-year-old man was on his way to a newsagents when he was assaulted by four men with poles and blades. The attackers, who were all wearing tracksuits, then made their escape in the car they arrived in. Following the attack, the victim went to Edinburgh Royal Infirmary for treatment to a deep cut on his face and back. 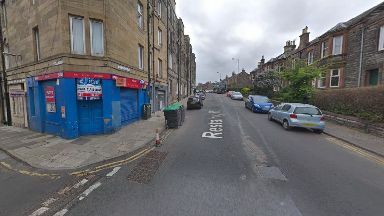 The incident happened between 8pm and 9pm on Tuesday, March 12, at the junction of Restalrig Road and Blackie Road. The matter was then reported to police on Monday, April 1. Police are appealing for witnesses and believe two women may have information that could help the investigation. Detective constable Neill Watt said: "At this time we're working to establish any potential motive for this attack and would ask anyone who was in the area on the evening of Tuesday, March 12 and witnessed what happened to come forward.